Version=1.0                                     #version of an app. Name[en_US]=yEd                                 #name of an app. GenericName=GUI Port Scanner                    #longer name of an app. 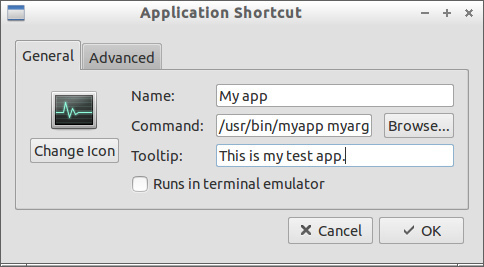 Exec=java -jar /opt/yed-3.11.1/yed.jar          #command used to launch an app. Icon[en_US]=/opt/yed-3.11.1/icons/yicon32.png   #location of icon file. Categories=Application;Network;Security;        #categories in which this app should be listed. Comment[en_US]=yEd Graph Editor                 #comment which appears as a tooltip.